Distracted driving has been a safety problem since commercial transportation’s early days, but new technologies and electronic communications increase the likelihood that tractor-trailer drivers will take their eyes off the road. Studies show that distracted truckers are far more likely to cause serious accidents. For truck drivers, distraction takes many forms: visual (looking away from the road), manual (losing contact with the steering wheel), and cognitive (not paying attention). According to the U.S. Department of Transportation, texting is the most dangerous activity because it involves all three forms of distraction. Other distracting activities include cell phone use, eating and drinking, reading, watching a video, and changing the radio station. 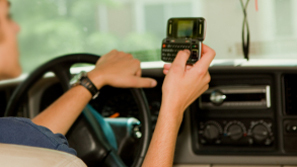 At The Law Offices of Frank L. Branson our lawyers understand the dangers posed by distracted truck drivers. To learn more about our experience in distracted truck driver accidents, we invite you to contact the firm here.